It’s over! But don’t start grieving yet. We can now enjoy all the Harry Potter movies whenever we want at home. 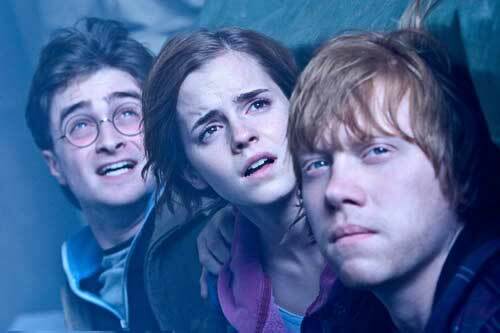 The final film in the magical series, Harry Potter and the Deathly Hallows Part 2 grossed a whopping $377 million at the U.S. box office. Based on the last book in the series by J.K. Rowling , Part 2 ends the epic battle of the boy who lived (Daniel Radcliffe, Harry Potter and the Order of the Pheonix) and the evil Lord Voldemort (Ralph Fiennes, Red Dragon). The cast sports all the actors we’ve loved in other movies in the fantasy series, including Emma Watson (Harry Potter and the Goblet of Fire), Rupert Grint (Wild Target), Alan Rickman (Die Hard), Tom Felton (Rise of the Planet of the Apes), Michael Gambon (Doctor Who: A Christmas Carol), Jason Isaacs (Soldier), Helena Bonham Carter (The King’s Speech), Maggie Smith (Nanny McPhee Returns) and David Thewlis (Naked). “The Goblins of Gringotts” featurette hosted by actor Warwick Davis, showing the entire process of becoming a goblin in a Harry Potter film, from auditions and casting to makeup and prosthetic tests as well as filming the final scenes. “The Women of Harry Potter” featurette about the women in Harry Potter’s life and the critical role they play in the films. Plus, the Blu-ray/DVD set has a downloadable digital copy of the movie. A box set with the entire franchise, Harry Potter: The Complete 8-Film Collection, hits streets the same day. According to The HD Room, Warner won’t ship new copies of any of the Harry Potter films after Dec. 29, 2011.